Looking to trade the B&M aftershave splash samples listed below and Proraso ASB (newest aloe + Vitamin E formula). All are new/unused. Retail value of ~$30 shipped. Great way to try a bunch of terrific scents/performers. I’m trying to keep my den lean, so I would trade all of these items in a bundle for one (or two) items in return. I’m open to offers, but I’d find new or lightly used AS splashes interesting (maybe Speick, or Musgo Real or TOBS or B&M or ___?). The right deal may result in me throwing several freebies in the box (Happy Holidays!). 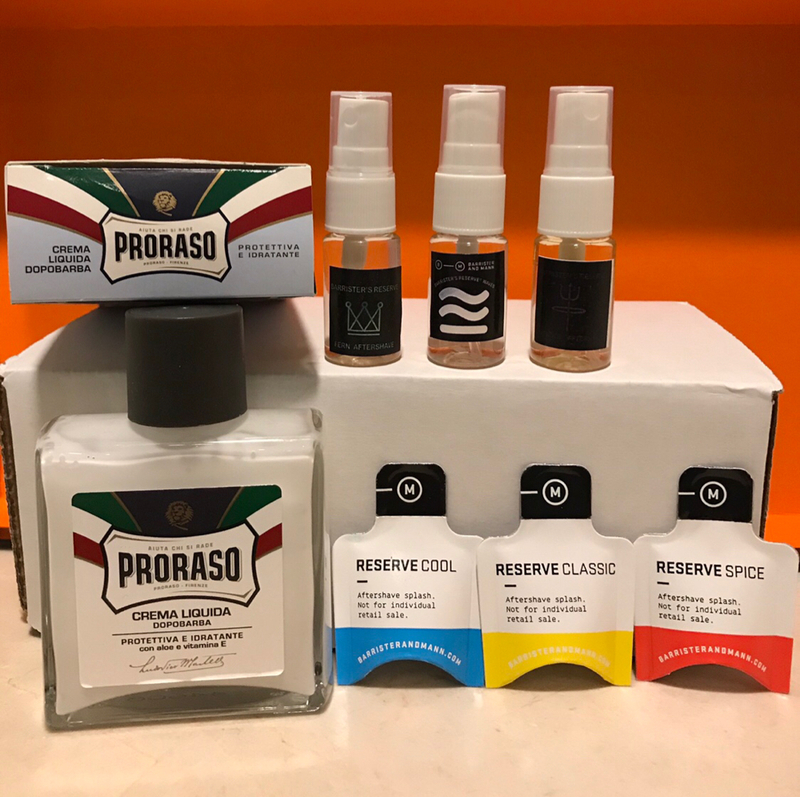 Proraso is traded. Make me an offer for the remaining bundle of very nice, new/unused B&M samples.